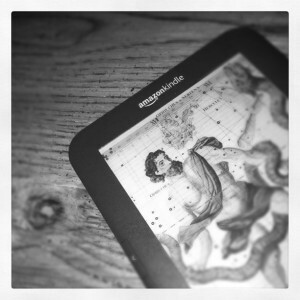 When the Kindle 3 came out last August, I decided to take the leap into the digital future and pick one up. I’d recently moved across town to another new apartment, and after moving several dozen extremely heavy boxes of books, it occurred to me that it might be worth my time to stop owning so damn many shelves full of books. It also helped that the Kindle 3’s price point and features hit a particularly attractive sweet spot. Now, I knew going in that the Kindle would probably never fully replace my desire for physical books. I can’t resist a used book store, especially when they have a sale, and I’m never far from a library here in Austin. However, after almost a year of living with the Kindle, I’m surprised at how few ebooks I finished on the device. Off the top of my head, I’d say I finished no more than a dozen digital books, whereas I read several dozen physical books. The most likely explanation? I have a huge backlog of unread physical books in my personal collection, more than 300(!) at last count. I’ve also always had at least one library book checked out at all times. I think there’s just something about actually seeing books sitting on a physical shelf that still has power over me. It’s much easier to forget I even own the books in my Kindle collection. They don’t loom on my bedroom bookshelves, demanding to be read. I can’t quite decide if that’s a good or bad thing. I was also disappointed to discover that Kindle book gifting isn’t quite ready for prime time. When I filled my Christmas wishlist with Kindle books last year, my parents were hesitant to purchase them. They were told that delivery would be instant and I’d get an email, ruining any possibility of a Christmas surprise. When my birthday rolled around I only listed physical books to keep things simple, which just seems like an oxymoron. You’d assume that digital gifting would be the simpler option, but the technology hasn’t quite caught up with common sense yet. However, the Kindle store isn’t the only viable digital option out there. I actually ended up listening to a lot of audiobooks this year. I’ve been an occasional audiobook listener over the years, but the combination of my iPhone and the extremely well-made Audible app turned me into a dedicated listener. I ended up spending way too much money on a lot of audiobooks this year. It turns out that audiobooks really help me focus at work when I’m doing data entry, so I pulled up the Audible app whenever I needed to buckle down and be productive. On the whole, I’m glad I bought the Kindle. It’s definitely not my primary source of reading material yet, but I like having the option available if I want to read an ebook. I’ve started buying all of the big new release books as ebooks, which is especially nice for thousand-page epics, but it’ll take years (maybe decades) before I run out of books to read from my existing collection. I think my transition to a full-time digital reader is going to be a gradual thing, happening over the next 5-10 years, rather than something that happens over night.